The amazing 50,000 school strong donor funded Ekal Vidyalayas Nationwide. Have you heard of it? 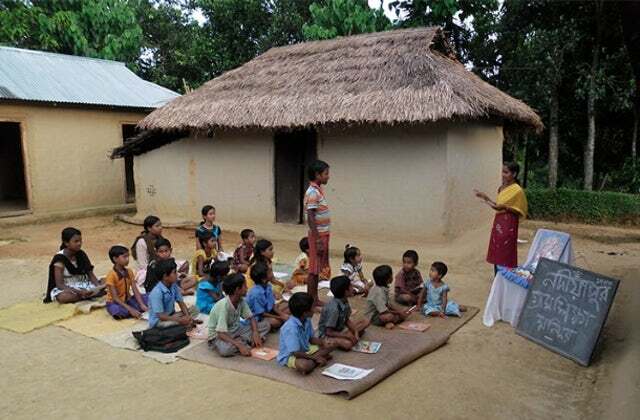 Ekal works only in rural and tribal areas and since its founding in 1986 has more than 50,000 ONE TEACHER SCHOOLS (OTS) in almost every state and district of the country. They do great work, mostly unheard off as they are mostly donor and volunteer run. Visit www.ekal.org/in to learn about their great work, perhaps you could be a donor, volunteer or teacher. We urge you to donate. WeRIndia is a regular donor and have sponsored multiple Ekal Vidyalaya schools over the years.